Enjoy golf life at its most relaxing. These homes are designed for small-group golf getaways. The community has a private putting green and three, par 3 holes to practice your short game. 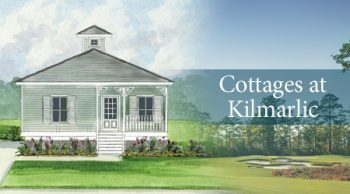 The community is nestled adjacent to the well-known Kilmarlic Golf Course on the Currituck mainland, just a short trip from the beach. As it is also close to H2OBX, one of the East Coast’s largest water parks, these cottages also make a family friendly base camp for your next wet weekend.